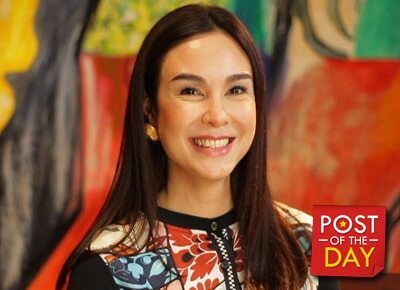 Gretchen Barretto and Tonyboy Cojuangco have been together for 23 years and Gretchen shared a heartfelt message for the business tycoon on Instagram. In a long caption, she said she believes that “love conquers all” and the ups and downs in their relationship were worth it. “For many who witnessed our relationship from the beginning, most predicted that we won't last more than 2months,” she wrote. Gretchen and Tonyboy celebrated their anniversary with their friends and in the end she thanked Tony for being her protector, lover and best friend. “I love you for making me get away with anything & everything, thank you for allowing me to be the bratty baby around our home,” she wrote. Yesterday, my Tony & I celebrated 23 years together? ?It has been what my dada calls ( one hell of a ride) through its ups & downs but it sure is well worth it ?for many who witnessed our relationship from the beginning, most predicted that we won't Last more than 2months . My Tony being 19 years older , coming from a wealthy family ,a Respected businessman & brilliant one to say the least . Me being an actress , coming from the extreme opposite side of the world & yes , of a different breed & class,but hey , Here we are , through it all , I guess it's safe for me to say that , True love CONQUERS ALL. To say that I am Blessed is an understatement. I opted to celebrate with these lovely people on this photo above , they have been a great part of our journey. To all those on this photo ... My gratitude for your unconditional love ? @dominiquecojuangco we love you & missed you last night ?? Ninang maureen soong , Cynthia Sico , al Purugganan, @marcsoong , Mimi que ?? To my tony , Thank you for being my everything rolled into one , my best friend , my dada , my partner in crime , my protector & defender & yes my Santa ?? I love you for making me get away with anything & everything , thank you for allowing me to be the bratty baby around our Home ? ?